Saturday, April 23 at 10am and again at 11:30am. 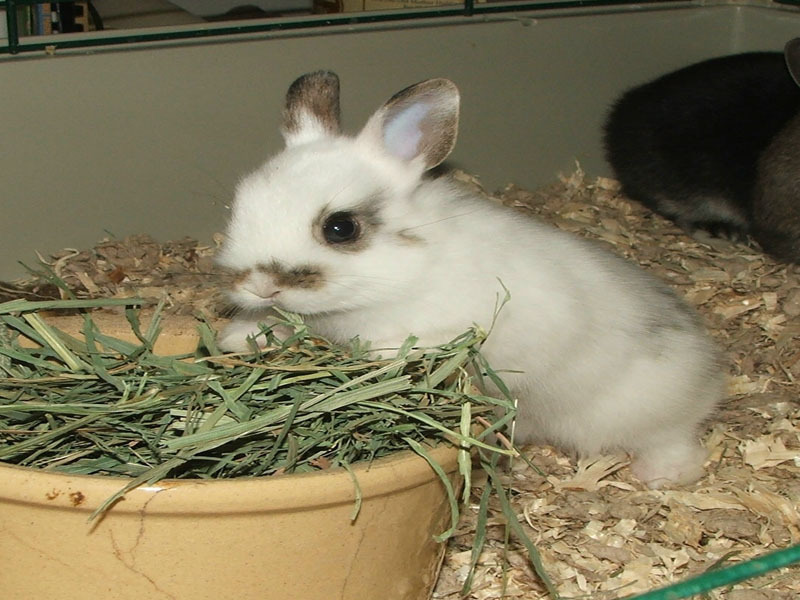 Learn all about bunnies and meet the museum's resident Rabbit and her youngsters. Admission: $7/Adults Children ages 3-12/$5. Museum Members: $5/Adults Children ages 3-12/$3. Tuesday, April 26 at 9:30am. For more dates and information click here. Registration is underway for the 2011-2012 School Year. For more information click here. 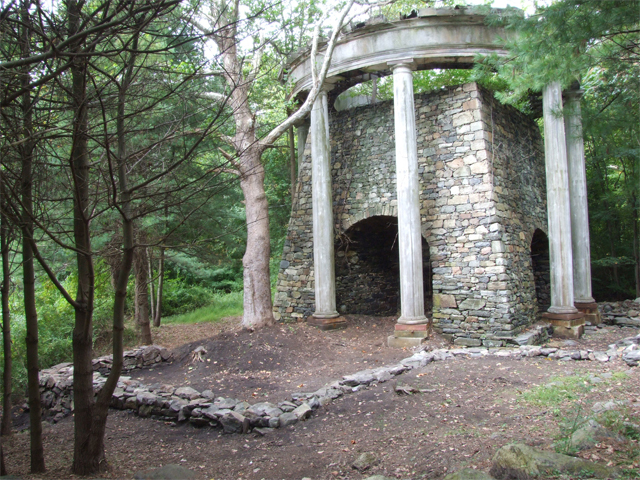 This Saturday, April 16 at 10am the Hudson Highlands Nature Museum presents A Native American Botanical Hike! Learn all about wild foods and medicinal uses of common plants that Native Americans used which are still growing in our area. Recommended for adults with or without children and children ages 5 and up. Admission: $5. Museum Members: $3. Monday, April 18 - Friday, April 22 from 9:30am - 11:30am at the Wildlife Edcuation Center, 25 Boulevard, Cornwall-on-Hudson. Campers can chose one or all five days to participate. Cost: $20 per day. Museum Members: $15 per day. For pre-paid registration and information call 845-534-5506, ext. 204. To download a form to purchase a 10x12 Yard Sale Spot for $25 click here. For information and to register for the Hike-A-Thon click here. 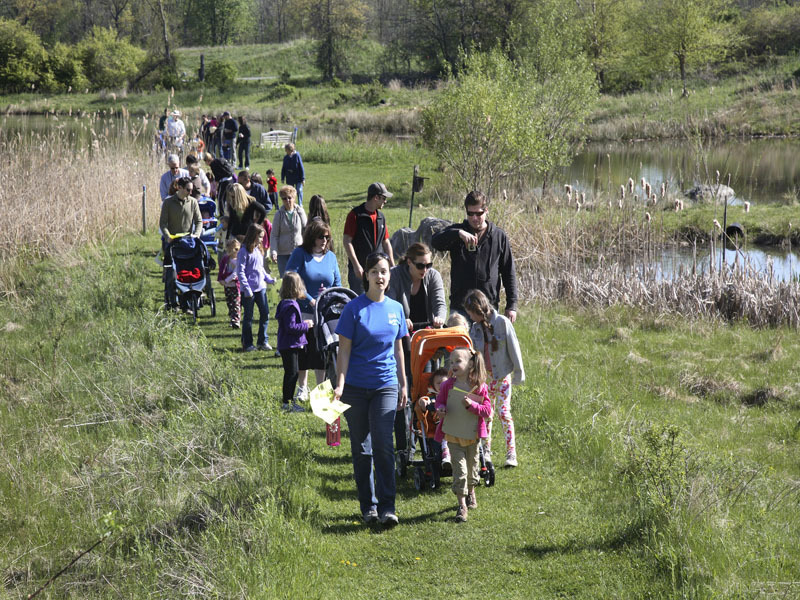 For information about the family friendly Earth Day celebration click here. 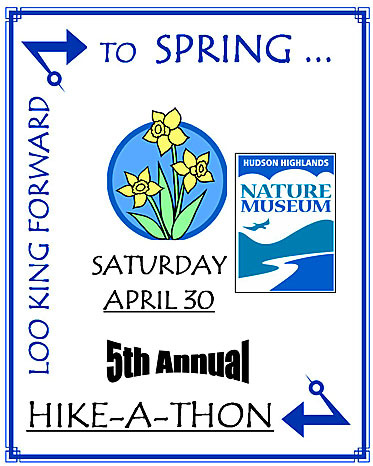 Great for families and individuals of all ages and abilities, the Hike-A-Thon is one of the Hudson Highlands Nature Museum's premier events and a significant annual fundraiser for the Museum. 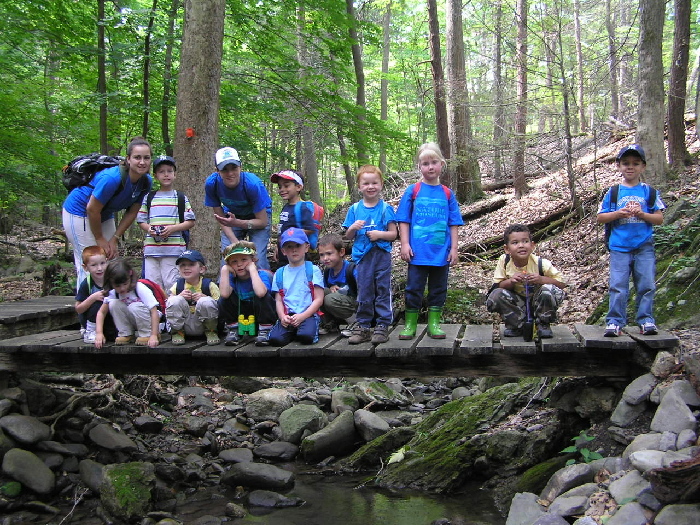 Now in its fifth year, the Hike raises much-needed funds for the Nature Museum's educational programs which serve thousands of children each year. Hike, walk or stroll, you may choose from a variety of trails, as well as guided and independent hikes that range in difficulty. It's a Hike with a purpose - and a great time spent outdoors in support of a great cause. Simply visit the hike page where you can register on-line. All hikers are asked to register so that we may plan accordingly. Hike with a purpose. Photo by George Potanovic, Jr. The Outdoor Discovery Center is located on Muser Drive, across from 174 Angola Road, Cornwall. Everyone will have fun in the "Green Zone" where Museum staff will lead family activites Children who get their free Planet Protector Passport stamped at each booth will win prize. 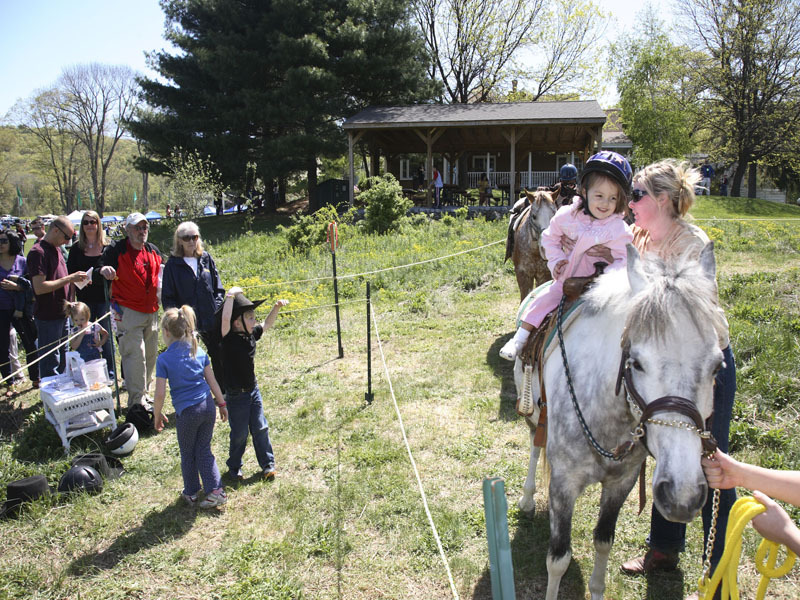 Children will enjoy pony rides, visiting farm animals including goats, chickens, sheep and a Clydesdale horse, a nature play area, and music by Lydia Adams Davis. All activities are free with the suggested donation of $5 per car for parking, except for the pony rides which are an extra fee. All funds raised will support environmental education. 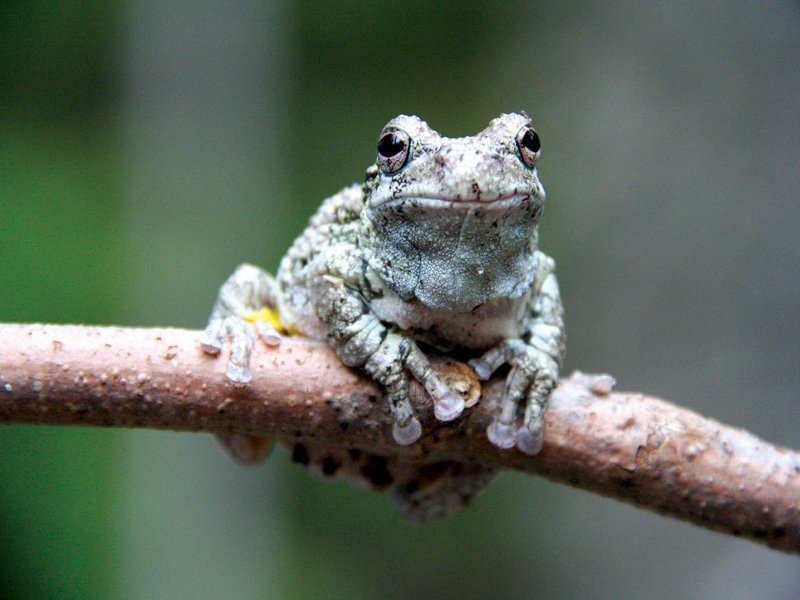 Amphibians of Spring: Salamanders, Frogs and Toads! Cost: $20 per day. Museum Members: $15 per day. Pre-paid registration required call 845-534-5506, ext. 204. There are openings in the afternoon classes for three and four year olds. For more information click here. Saturday, April 2 and Sunday, April 3 from 12pm-4pm Grand Opening Celebration, at the Wildlife Education Center 25 Boulevard, Cornwall-on-Hudson! 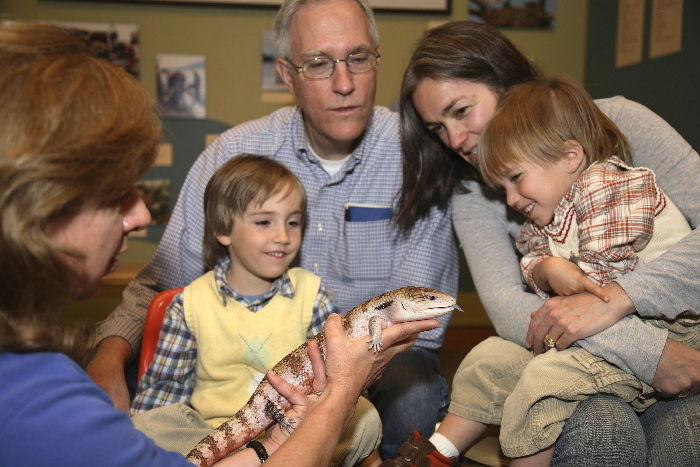 Special Meet the Animals, live fish presentations, games, crafts and more. Admission: $3. Museum members are free. For information call 845-534-5506, ext. 204. Sunday, April 3, 10am at the Outdoor Discovery Center, on Muser Drive, across from 174 Angola Road. Meet some of the Museum's resident amphibians then take a short hike in search of signs of these amazing creatures. An open house is scheduled for Sunday, April 3 from 12:30pm - 2:00pm at the Outdoor Discovery Center on Muser Drive across from 174 Angola Road. Parents and prospective campers can meet the counselors, tour the facilities and ask questions. Camp registration and Museum memberships can be taken at the event. For more information and on-line registration click here. For more detailed information on any of these Scout programs click here! Cost: $12 per scout adult leaders are free. A deposit of $50 will hold your reservation. Balance due no later than March 25th. Cost: $12 per scout adult leaders are free. A deposit of $50 will hold your reservation. Balance due no later than April 1st. A deposit of $50 will hold your reservation. Balance due no later than April 29. Maple Sugar Tours Saturdays and Sundays through March 27. Register now for Summer Camp. Every Saturday and Sunday through March 27 from 10:30am-3:00pm. Tours are every Saturday and Sunday through March 27 from 10:30am-3:00pm. Cost: Adults $10, Children $5 Ages 3-11. Museum Members: Adults $6, Children $3 ages 3-11. 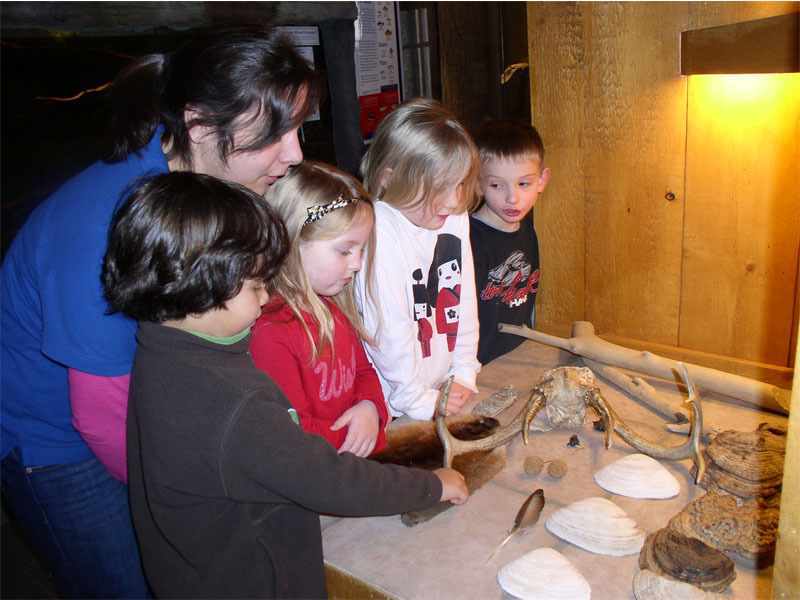 The Hudson Highlands Nature Museum is ready to greet summer campers for children age 4-12 from June 27 until August 15. Plus the final week offers a program for ages 12-15! Space is limited so campers are urged to register early to avoid disappointment. This year the Museum has added the convenience of on-line registration! Check in begins at 9:00am and warm-up at 9:15am. Then hit the trails! 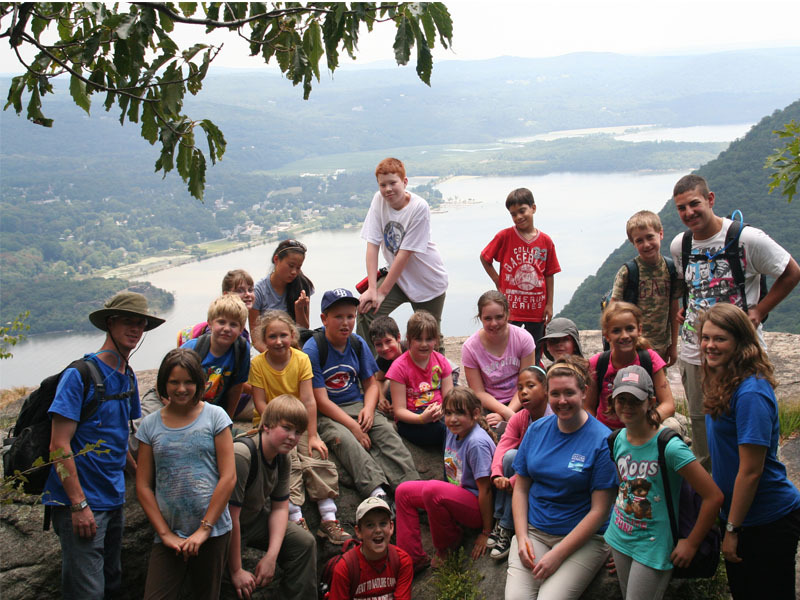 To raise money and awareness for the Hudson Highlands Nature Museum's Education Programs. The Outdoor Discovery Center, entrance on Muser Drive, across from 174 Angola Road, Cornwall. Call 845-534-5506, ext. 204 or click here. Hikers of all ages and abilities are welcome. Hikes range from a walk on "stroller-friendly" trails to a vigorous walk on the Discovery Quest trails to a genuine Highlands challenge for the hearty hiker. 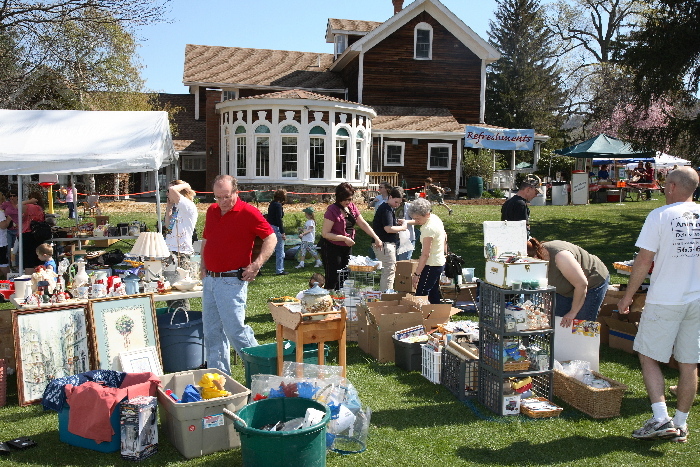 Hike 2011 coincides with the Museum's Earth Day Celebration and Community Yard Sale. Discovering Animals Together. 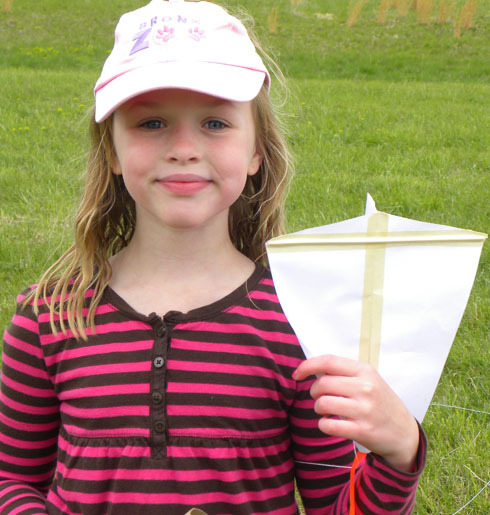 Children will create things that fly! at the Wildlife Education Center, 25 Boulevard, Cornwall-on-Hudson. Begins Tuesday, March 8 and Wednesday, March 9 . Come explore the world of animals together in a fun creative environment. Pre-paid registration is required. 10% sibling discount.For more information click here. To register or for information call 845-534-5506, ext. 204. To become a member or to renew your membership securely on-line click here. 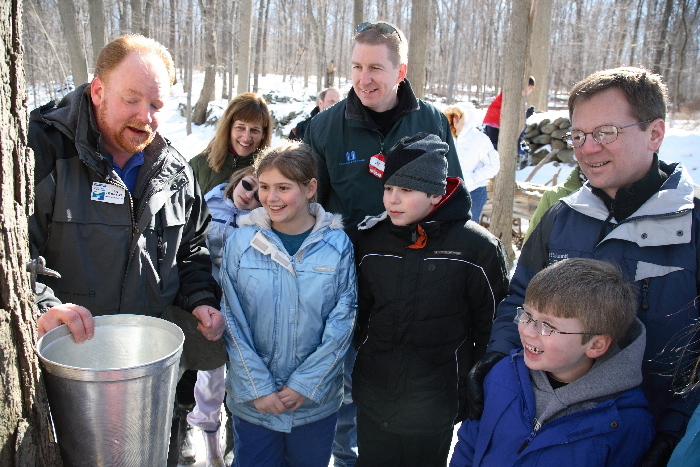 This Saturday, March 5 from 10:30am - 3:00pm the Hudson Highlands Nature Museum presents a Maple Sugar Festival. 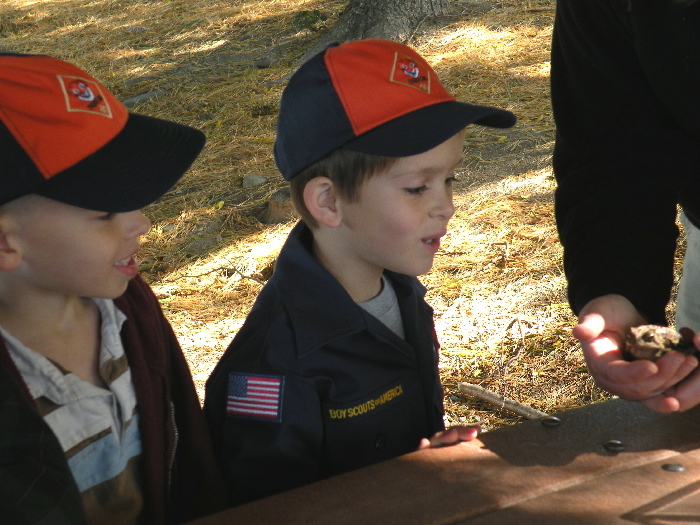 Join Museum Edcuators for crafts, games, tree tapping contests and Native American story telling by the fire. Come sample Journey Cakes! Enjoy Maple Sugar Tours every half-hour beginning 10:30am. Lunch and snacks will be available for purchase. Tour size is limited so sign up for your tour when you arrive. Maple products will be available for purchase. Cost: Adults $10, Children $5 Ages 3-11. Museum Members: Adults $6, Children $3 ages 3-11. Beginning Saturday, March 5 and Sunday, March 6. Tours are every Saturday and Sunday through March 27 from 10:30am-3:00pm.